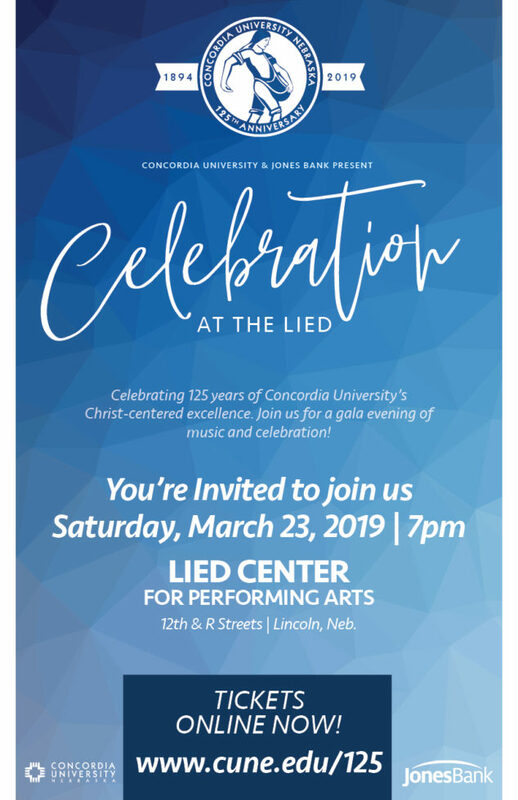 Sponsored by Jones Bank, Concordia University is preparing a gala event at the Lied Center for Performing Arts in Lincoln, Nebraska. Come and hear the joyful and moving sounds of University A Cappella Choir, Concordia Wind Ensemble, Concordia’s Cantamus Women’s Choir, The Male Chorus, and Jazz Ensemble perform individually and as combined groups. Our celebration of 125 years of Concordia University will continue throughout the year with the next event centered around homecoming in the fall. We would love to have you join us for this exciting event and meet alumni, faculty, friends, staff, and students to find out what makes Concordia University a truly unique opportunity as their mission is to create servant leaders for the church and world. Concordia University, Nebraska is an excellent academic and Christ-centered community equipping men and women for lives of learning, service, and leadership in the church and world. Easter Worship at Capitol City! Horizon's Easter and Flapjack Breakfast!